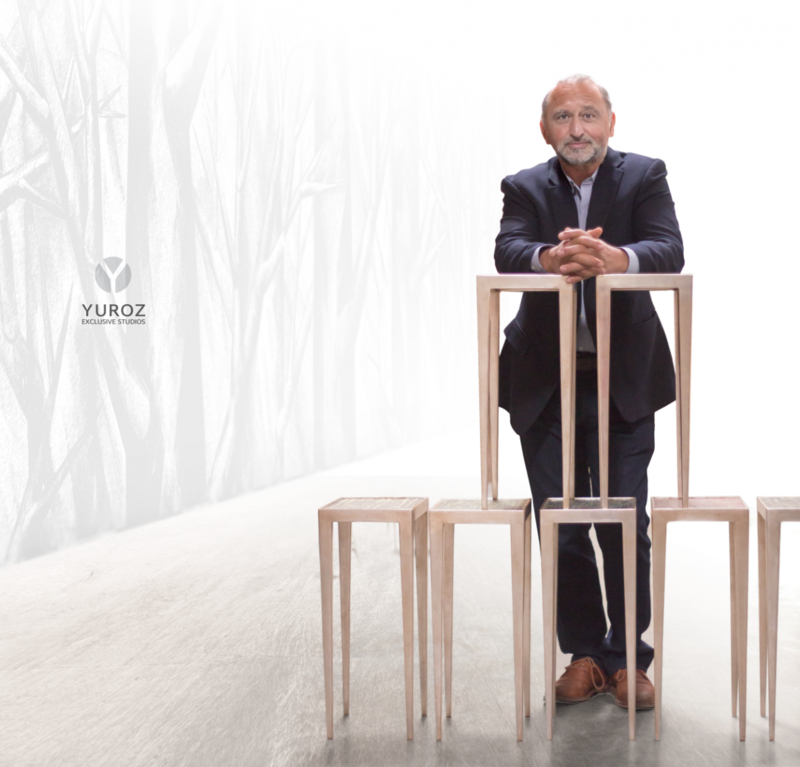 PRESS RELEASE: May 24th, 2017 (Los Angeles, CA) – To celebrate the allure of life, Yuroz announces a new line of refined luxury furniture, Jewelry for Your Home, featuring functional art you can touch. 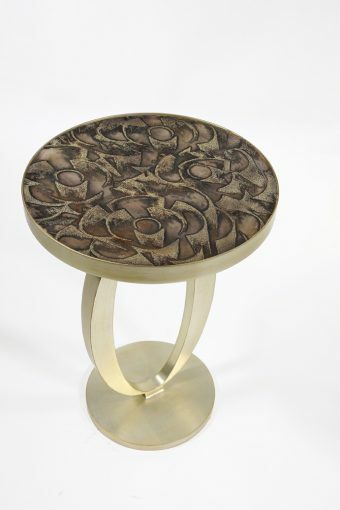 Fusing key designs inspired by his original fine art collections, Yuroz kicks off the offering with one-of-a-kind hand-etched and hand-painted metal top-plates on a time-proven metal frame with famed Venetian silver finish inspired by furniture design icon, Nancy Corzine. Incorporating images inspired by his Symbiosis Fine Art Museum Collection released in 2016 and his Pulse of the Roses collection released in 2017, Jewelry for Your Home released two distinctive accessory table styles, Arlo and Eternity, signed and numbered in limited edition with a selection of color and designs for different moods and inspirations. For three decades, the fortitude of human conditions and celebration of the human spirit have been the recurring subject matters of Yuroz’s fine art expressions. Charged by the joy of discovery and fueled by his untainted vigor to connect his viewers’ emotions with natural beauty, representation into design and functional art became the natural extension for this cubist master’s unyielding creative expressions. Symbiosis expresses the symbiotic relationship between the human race and nature where human’s existence is being nurtured by nature and nature’s survival is dependent on the attitude of the human race. Through the Symbiosis Museum Fine Art Collection and the Symbiosis Museum Design Collection, Yuroz expresses the symbiotic relationship between the human race and nature where human’s existence is being nurtured by nature and nature’s survival is dependent on the attitude of the human race. Go here to view the museum installation in Florida. Blue roses have been the staple symbol of Yuroz’s narrative paintings symbolizing the healing power of love. In Pulse of the Roses, the artist invites viewers to surrender to the vibration from the waves and dynamism in these paintings. 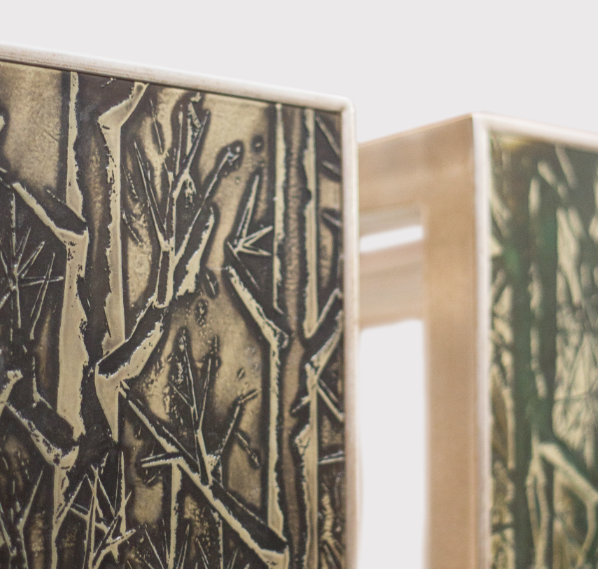 Behind both collections lie Yuroz’s love of nature and appreciation for the symmetrical wonders of its creations. 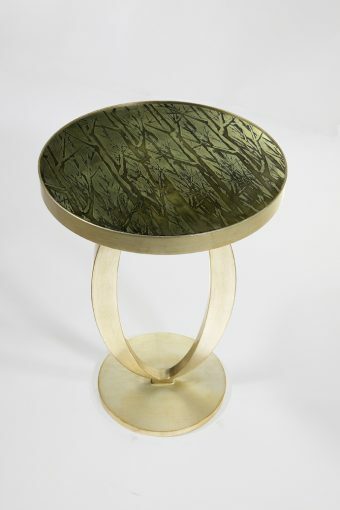 By incorporating the subject matter in this luxurious furniture design, Yuroz further expresses his appreciation for the elegance, love and beauty of nature. Yuroz is an architect by training, artist by love and creator by passion. Design is definitely a natural extension of that unyielding creative spirit. His uncompromising determination to constantly break out of his comfort zone to discover new medium and new dimensions of expression is not something commonly found in many artists. Yuroz understands and respects the unique energy each medium exalts. 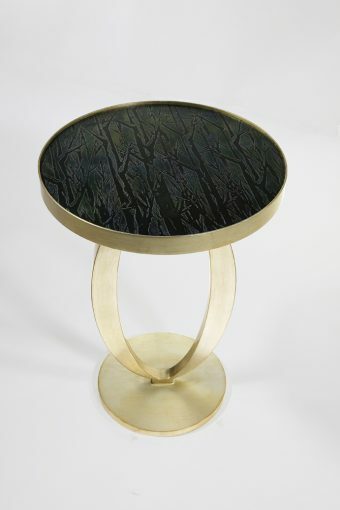 Watching his new poetry unfold as he incorporates his artistic designs with a new language that gives our time-proven furniture designs a new speak is an exquisite delight,” Nancy Corzine commended. See where the magic begins. Schedule a visit at our showroom in Los Angeles and visit the artist studios to bask in Yuroz’s uplifting visual narratives. Or, contact us for more information including a list showrooms around the country that have Jewelry for Your Home on view. This entry was posted in Collections, Press Release. Bookmark the permalink.